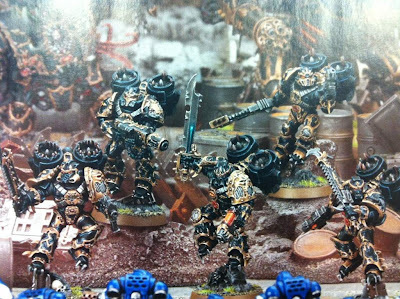 The Close Combat Obliterators - Maulers? 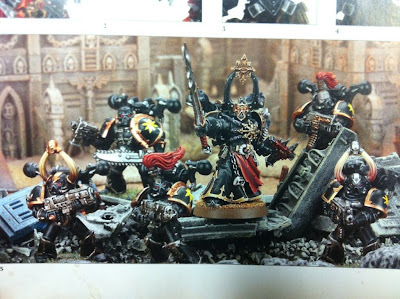 Dark Apostle in finecast, Maulers in finecast, raptors (dual kit $64) in plastic, and old chaos space marines plastics. 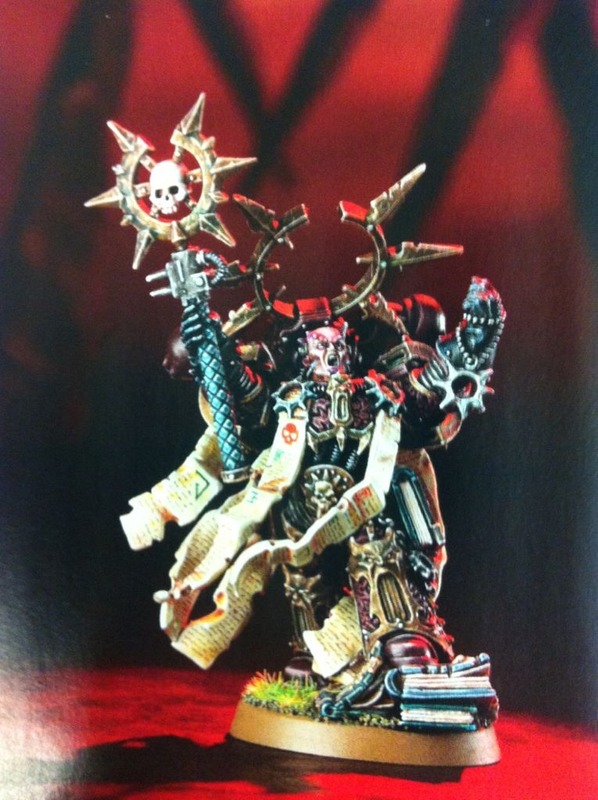 "...the new Chaos Codex (hardcover) will be $98!...I hope it is a misprint...."
New sorcerer in the last picture. That Dark Apostle looks like he has had a competition with St Celestine and Huron for "who's got the biggest Icon on their backpack" award. 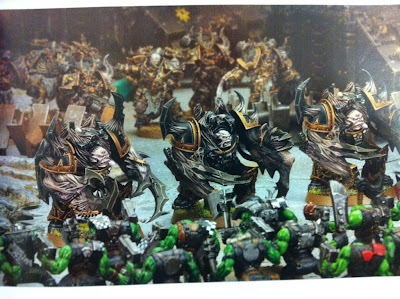 Raptors look cool but will they be any good in the rules? Ouch. how can they justify another $27 for the book? It was already to expensive. Are they trying to promote digital purchasing I wonder. 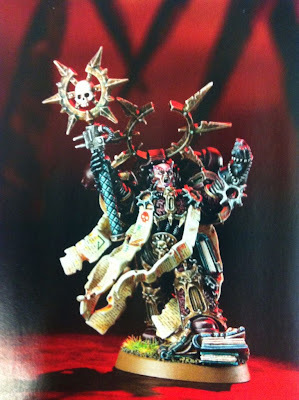 Possibly, the Dark Apostle needs another unsold codex to pile up under his left boot, so nefarious are the ways of Chaos. whats the stuff in the background of the raptor photos? 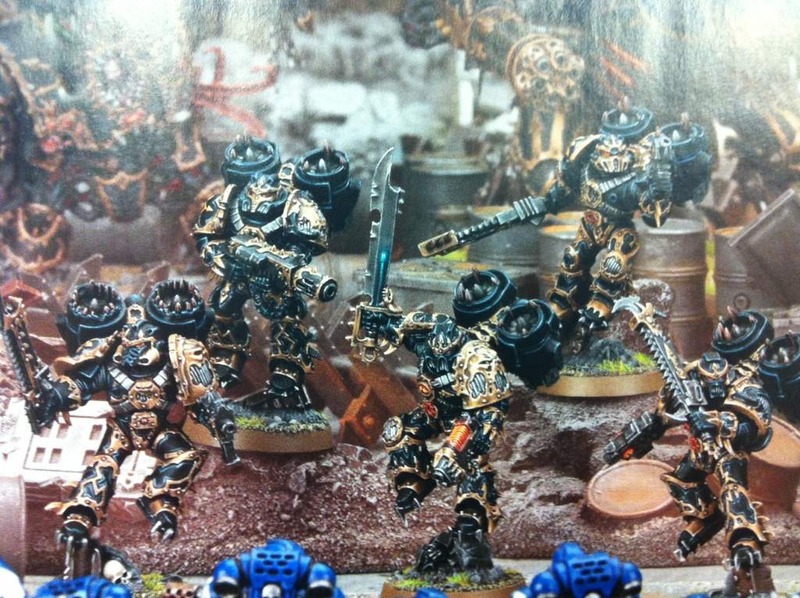 kinda looks like a dread on the left, what about the gatling cannon (?) 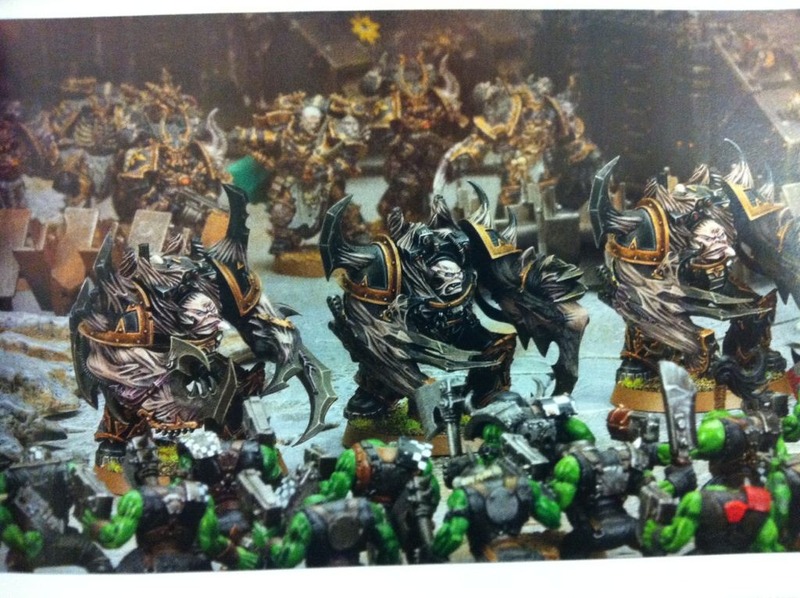 on the right?